As a youngster back in 1993 Daddy Rings started his career by recording his first singles for King Jammy’s in Kingston’s notorious garrison Waterhouse in Jamaica. His first hit song “Herb Fi Bun”, a duet with legendary reggae singer Cocoa Tea, brought Daddy Rings to international notice and his debut album “Stand Out” was released in 1997. 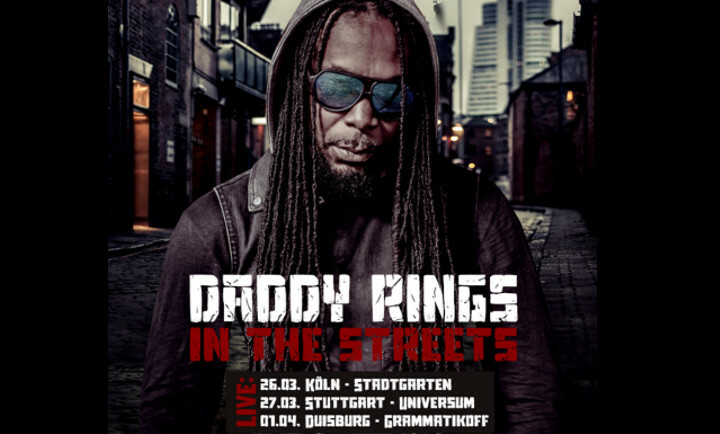 After his breakthrough he toured the world and was warmly welcomed in Germany where he did a lot of creative work for and with German reggae superstar Gentleman. Ten years after his debut Daddy Rings dropped his second album “The Most High”. Almost another decade later we are now awaiting the release of his third studio album “In The Streets”.